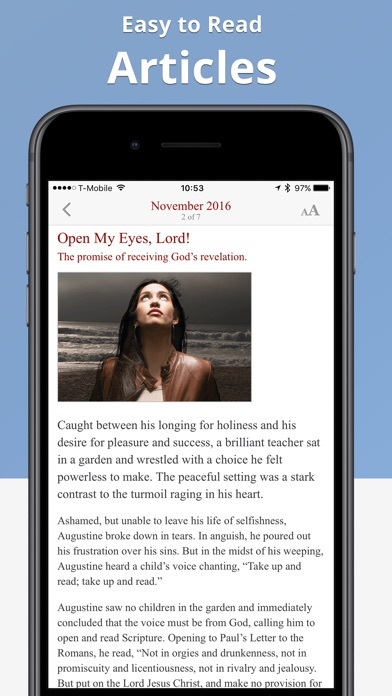 Overall this a very good app. 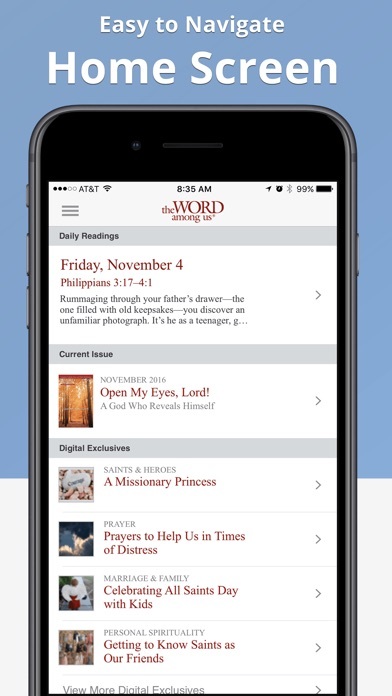 I just wish I could print the daily mass readings so I can bring it to church. Kinda embarrassing to follow the reading in my iPad while in church. I love getting the readings for the day and the daily reflections. The other day the first reading was about the manna in the desert. I come down in the morning, get a cup of coffee and pray with The Word among Us. I realize it is my manna. 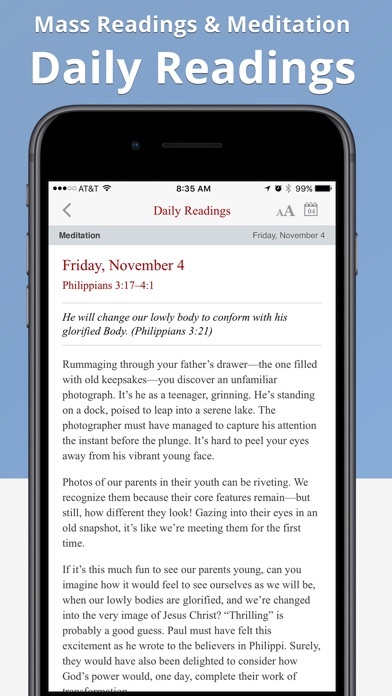 I love being able to read the daily readings and get a reflection right on my phone! It is so handy, especially when traveling so I don’t have to bring the paper copy of WAU along. Love the extra stories as well. 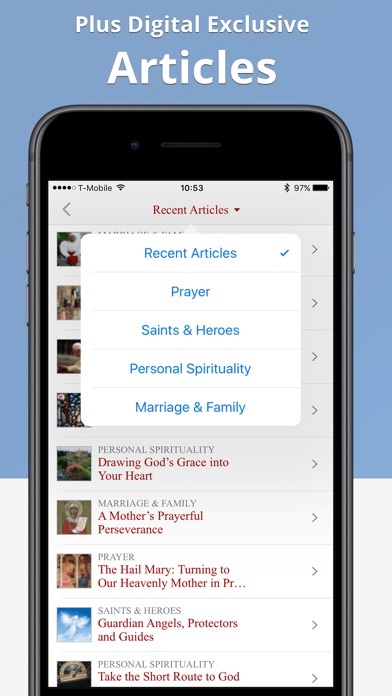 The daily readings and beautiful meditations inspire me and draw me closer to our Lord. In a world with endless temptations, the words keep me close to our Lord and speak to my heart in the ways I need to follow him to be holy. Every day I appreciate how the WAU brings some aspect of our faith to daily life, and making that connection through scripture. Thank you for serving the broader faith community for decades! 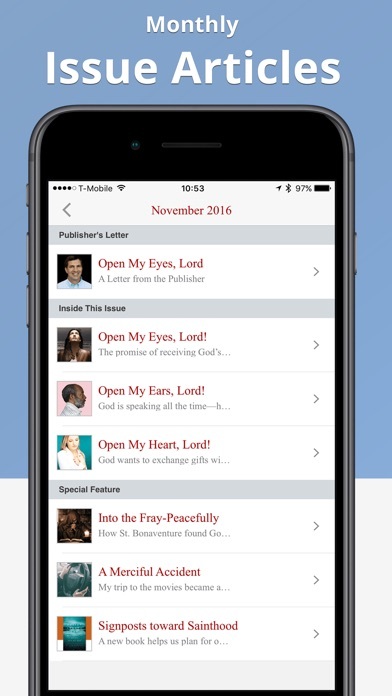 I have enjoyed the booklet for years and now the app delivers the same articles and daily commentary with great convenience. This is the best app out there. I love it!